Justin Bieber’s Charges Dropped. Did the Cops Lie? Pop singer and public nuisance Justin Bieber was arrested last week by the Miami Beach Police. While the the #FreeBieber and #DeportBieber camps of the Twitterverse were clashing harder than Ukrainians in the streets of Kiev, information that contradicted the police report began to trickle out. Now, Miami-Dade County appears to have quietly dropped several of the charges against Bieber. After disregarding repeated instructions that he keep his hands visible, the singer was arrested and charged with driving under the influence, driving with an expired license, and resisting arrest without violence. Yet, various reports and inconsistencies indicate that the cops may have fudged some information. The Huffington Post highlights a few errors with police report. It “has marked ‘Known’ when it comes to ‘Indication of alcohol influence’ but ‘Unknown’ is the box checked regarding drug influence. So had Bieber informed the police what he was on, they didn’t put it down as such.” The Post also points out that the department had a few other (less egregious) errors, such as marking Bieber as an American citizen and mistaking his birthplace as Toronto instead of London, Ontario. The Miami Herald writes that “Bieber’s breath test did not show any substantive alcohol use. He blew .014 and .011, well below the legal limit.” This raises some questions about whether Bieber’s car really reeked of alcohol. As Reason’s Jacob Sullum and Scott Shackford have covered in the past, police don’t always accurately identify smells. TMZ claims that “the place where Justin and Khalil rented the cars attached a GPS device that also tracks speed,” and that “5 blocks before cops noticed them they were going 34 MPH in a 30 mph zone. Blocks later, they were steady at 27 mph.” A surveillance video released by CBS Miami corroborates this, showing an underwhelmingly slow “drag race” and police pursuit. Several sources have noted that the case information listed on the Miami-Dade County Clerk of Courts website lists the charge of resisting arrest. This indicates that the county is not pursuing the DUI and expired license charges. I have been on this Planet Earth now for 75 years. I have practiced law in California for 37 of those 75 years half of my entire life and for 34 of those years I have done only DUI and DMV law. Knighted by my clients as the most excellent DUI attorney in the State of California, author of DUI manuals and published articles in the “San Diego Daily Transcript”. Our team includes, on every case, our own lab, our own investigator who was an ex Chief of Police of El Cajon city for 14 years as well as other cities in Northern California and a member of the neighborhood-watch program in El Cajon city. 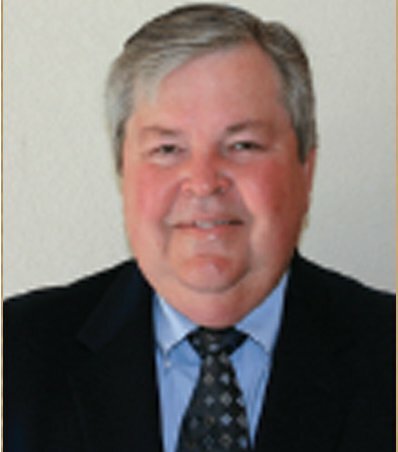 He has been an Expert Witness in DUI/DMV homicide and wrongful death cases in which there were police misconduct. 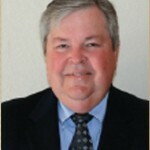 This great man works exclusively for Mr DUI in our DUI cases. That means you cannot get him with any other law firm. Accusations of driving under the influence of alcohol are among of the most commonly faced in the U.S. Whether you have been falsely accused of this offense or know that you have made a mistake, you need to be aware of all the aspects of your case so that you have the best possible chance of getting your charges dropped. It is a widely spoken of issue in the U.S. Drinking and driving is discouraged by the government and law enforcement and they try different tactics to get people to stay off of the roads. This is a necessary step in ensuring the safety of both the drivers and everyone else around them. Law enforcement officers are constantly on the lookout for drunk drivers and members of the public are asked to report anyone who appears to be exhibiting erratic behavior. However, false accusations of DUI are not uncommon and it is possible that some police officers and prosecutors are over-eager in DUI arrests and convictions.If you or a family member was accused of driving while intoxicated, you need to have a good understanding of DUI and the possible penalties you could be facing. Although the laws vary state by state, they are generally very similar. One aspect of the case that is the same in every state is that the legal limit for blood alcohol content is below 0.08%. If a driver was shown to have this amount of alcohol in their bloodstream, they could be immediately placed under arrest and be facing a conviction. There are different sets of circumstances that could arise which could increase the penalties, such as causing an accident that involved property damage or bodily injury, having an aggravated BAC, or having a minor in the car while driving under the influence. The cost of a DUI includes restrictions on freedoms and monetary penalties. The amount of time spend behind bars will differ based on whether the conviction was a misdemeanor or a felony as well as whether anyone was injured or killed. The offender’s driving privileges could also be taken away for a set amount of time. This could hinder their ability to get to work and take care of their family. If the individual held a commercial driver’s license which they depended on in order to carry out their work tasks, this could mean that they lose their job. Monetary penalties for DUI can also prove to be a heavy burden for the offender. First, they could have to pay fines of hundreds or thousands of dollars at the time of their conviction. There will also be attorney fees and court fees as well as compensation for any property damage or injury. After a multiple DUI conviction, the individual could be required to install an ignition interlock device in their vehicle. If this is the case, they will have to pay to have it installed as well as pay a monthly fee while it is in the car. This brief overview simply serves as an example of the true cost of a DUI conviction and how important it is to defend yourself against such accusations. We are now listed on Thumbtack website as Win your DUI Case with Mr. DUI Check it out our listing and other business listings at their site. A “THANK YOU” email has been sent to the client. Female Client was stopped for “weaving” as told by the arresting officer. Client is a student at a local prestigious university to become a dentist. Client was asked how many drinks she had and she replied, “only one.” The officer asked her to perform the roadside physical sobriety tests and then asked to take the breathalizer. She blew a .09 on the breathalizer. We are still working on this case and have a non-DUI offer on the table, but still looking to get a lower offer. UPDATE (5/18/11): This client is now free from the DUI and able to pursue her career to be come a DDS with No DUI on her record. Known locally as MR. TICKET, Mitch is probably the only attorney in San Diego who devotes his entire practice to low-cost defense of traffic tickets and DMV Hearings! Mitchell Mehdy passed the bar in 1985 and join the team in 1988. Since then he has fought numerous traffic tickets and assists hundreds of clients per month. At DMV hearings he has helped many clients retain their licenses after multiple tickets. Mr. Mehdy is the respected traffic ticket expert and has been featured repeatedly in the news media, including on KNSD (Channel 39), KFMB (Channel 8), KGTV (Channel 10), KUSI (Channel 9), KOGO-AM 600, KFMB-760 AM, Union Tribune, and the Los Angeles Times. 1) As many motorists know, a clean driving record is important in keeping your insurance rates low. 2) A clean driving record is important in keeping your license. 3) For some, a clean driving record is important in keeping your job. An attorney who specializes in traffic tickets will be better able to help you. Experience breeds expertise. Expertise helps clients with legal matters. Choose an attorney with more traffic ticket defense and DMV Hearing experience than any other attorney in San Diego. For over 23 years, Mitchell Mehdy has slugged it out in the trenches of the courts helping hundreds of clients per month. At DMV hearings Mr. Mehdy has helped many clients keep their licenses after multiple tickets! He can help you avoid getting points on your license after multiple tickets! In 1995, Abel Galván joined Mr. Ticket and has devoted his legal career to fighting traffic tickets. He has appeared on KFMB ( Channel 8 ) as a traffic ticket expert. Attorney Abel Galván is fluent in Spanish. He attended the University of San Diego and Pepperdine University School of Law where he graduated with honors.